A great retirement or recreational one level three bedroom home. It has a peak lake view through the trees and borders on an undeveloped park. The property is close to a marina where arrangements have been made in the past for boat moorage. House has been rented to a tenant that has rented for 8 years so arrangements could be make for the tenant to continue to rent until you are ready to use the home. 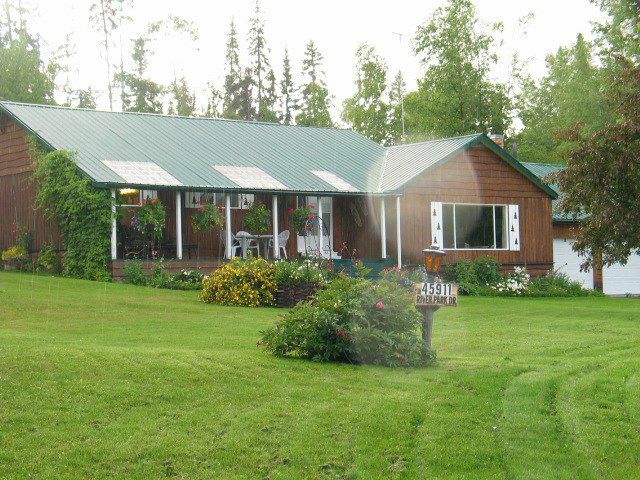 Babine Lake noted for excellent fishing is within walking distance form this home. The pictures were taken before the renter moved in.